Parents of rising kindergartners (those attaining age 5 by September 30, 2019) are invited to Mary D. Lang Kindergarten Center’s Kindergarten Kick-off. 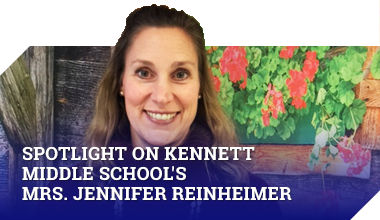 This information session and building tour will be held at the Kindergarten Center on Thursday, March 14, 2019, for parents whose last name begins with A – M and on Thursday, March 21, 2019, for parents whose last name begins with N – Z. Both sessions will begin at 6:30 p.m.
Family Movie Night is a Hit! Families gathered in the library of the Mary D. Lang Kindergarten Center to enjoy a movie with their family, friends, and neighbors. 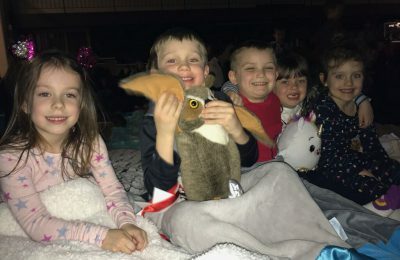 The students enjoyed coming to school in their pajamas with sleeping bags, stuffed animals, blankets, and pillows ready to enjoy the movie in comfort. What an INCREDIBLE night to remember! Students cuddle with stuffed animals during family movie night.